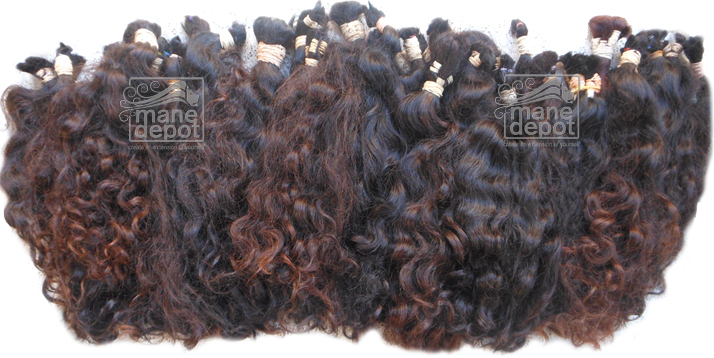 Authentic South American Hair ready to ship custom-crafted wefts, ponytails and bulk wholesale. South American Hair is collected from a vast range of ethnicities and this is reflected in the unique virgin hair we offer. Listings feature the actual product being offered. Because we have all raw material on hand, orders ship quickly without an extended wait time. For quick answers to questions, please refer to our FAQ for information and photos of the quality hair we've provided throughout the years. Belorio is our exclusive South American Hair - 100% Raw Virgin Brazilian Remy Hair. Belorio Virgin Brazilian Hair is unprocessed raw hair we import as direct donor cut ponytails. For additional photos, how to order, and information regarding textures and colors, please visit our Belorio FAQ page Virgin Brazilian Hair. Orders containing any of the below products ships within 3-5 business days. We welcome any questions you may have prior to ordering.